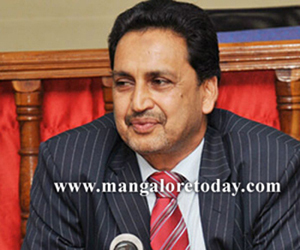 Mangaluru, Mar 24, 2015: Chairing a meeting here on March 23, DK DC Adoor Ibrahim stated, that there are cases where facilities being are denied to beneficiaries for failing to provide necessary documents. Such being the case, on the directions of Karnataka State Aids Prevention Society, a single window system will be started in all the districts. All government departments should work in coordination to create awareness among HIV patients towards the benefits applicable to them under various government schemes. He meanwhile directed the district Aids Prevention and Control Officer to bring out a brochure of various government schemes under different departments, for the benefit of patients. The DC said eligible HIV/AIDS patients who wish to avail the government benefits can apply at DAPCU, ICTC, ART centre, Link ART centres or registered NGOs under Karnataka State AIDS Prevention Society. The HIV/AIDS patients should be given benefits under various departments on priority basis. It is also necessary to provide psychological support to the family members of the patients. "Fearing stigma attached to the disease and discrimination, several beneficiaries fail to avail the facilities from the government. To bring them to the mainstream of the society, several programmes have been chalked out by the government. The HIV/Aids infected children (below 18 years) are given financial assistance through women and child welfare department. Those kids who have lost their parents are given Rs 750 per month and those who are living with their parents are given Rs 650 per month. The HIV/aids victims who visit ART centres for treatment are given transport allowance," said District AIDS Prevention Officer Dr Kishore. He said since 2007, 7,549 HIV patients have been identified in Dakshina Kannada and 6,612 of them have been undergoing Anti-Retro-viral Therapy (ART) treatment, he said and added that 60 per cent of AIDS patients are in Mangaluru taluk. Housing facilities have been provided to eight beneficiaries, loan facility has been provided under self employment scheme to 13 persons, Antyodaya Ration cards to 21 persons, and financial assistance to guardians of Orphan Vulnerable Children (OVC) through the department of women and child welfare to as many as 1,000 from 2012 to 2014. Also free legal consultation has been provided with the assistance of Mangaluru Bar Association, he said. District Health Officer Dr Ramakrishna Rao and district Surgeon Dr Rajeshwari Devi were present.